The WSU Foundation consolidates all funds available for long-term investment, with the exception of funds restricted by law or by special donor limitations, in its Endowment Fund. This fund is the investment pool for approximately 2,136 privately endowed funds supporting a wide variety of education, research, and service programs at WSU. The investment objectives of the WSU Foundation Endowment Fund reflect its long-term nature. 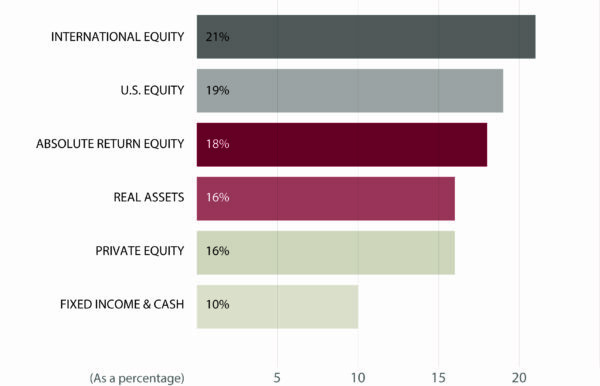 It is recognized that the desire to grow endowment gifts and to produce a large, stable and predictable payout stream involves tradeoffs that must be balanced in establishing the investment and spending policies. Balance the support for present and future generations of students and faculty. Donors may designate an endowed gift to create a new fund or contribute to an existing fund. These funds are held in perpetuity by WSU Foundation and are invested with other funds that comprise the WSU Foundation’s Endowment to promote growth over the long term and to protect against inflation. A portion of each fund’s value – currently 4.0% of a three-year rolling average – is made available each year to support the designated program.